The U.S. Environmental Protection Agency (EPA) was founded in 1970 to safeguard human health and the environment. Following enactment of the Safe Drinking Water Act in 1974 and subsequent amendments, great strides have been made to protect America’s drinking water supplies. However, the array of pollution threats continues to expand faster than the regulatory environment created to control them. The number of new chemical compounds and synthetic materials invented every year, and subsequently released into the environment, continues to grow exponentially. The shortcomings and failures of municipal water treatment facilities are reported daily in local newspapers, but insufficient public funding is allocated where needed to adequately resolve the issues. One drinking water treatment issue that does receive ongoing funding is disinfection. Beginning in New Jersey in 1908, chemical disinfectants have been added to municipal drinking water supplies to dramatically reduce outbreaks of infectious waterborne diseases, such as cholera and typhoid. While this has been an undeniable boon to public health, chemical disinfectants have downsides as well. Disinfectants such as chlorine combine with naturally present organic matter to produce disinfection byproducts (e.g., trihalomethanes, halogenic acetic acids), which can be harmful to human health. The chemical element chlorine is a corrosive, poisonous gas, and its positive health benefits end when the treated water is consumed. Consumer health would be better served by not ingesting any chemical disinfectants. One viable solution is for consumers to employ drinking water filters at the point of use to serve as a “final barrier” to protect against both accidental and deliberate water contamination. But simplistic filtration solutions are not effective enough. No single filtration technology addresses every water contaminant that may be present. What is required is a hybrid approach incorporating multiple filtration technologies to address the widest possible range of potential contaminants. Carbon Block Technology, Inc. (CB Tech) is a USA-based contract manufacturer specializing in producing custom hybrid Point-of-Use (POU) drinking water filters. This includes filter elements for the most common drinking water filtration appliances, such as plumbed-in, countertop, inline, faucet, pitcher and portable filter systems. The company offers effective, NSF-certified filters with custom-designed filter elements. 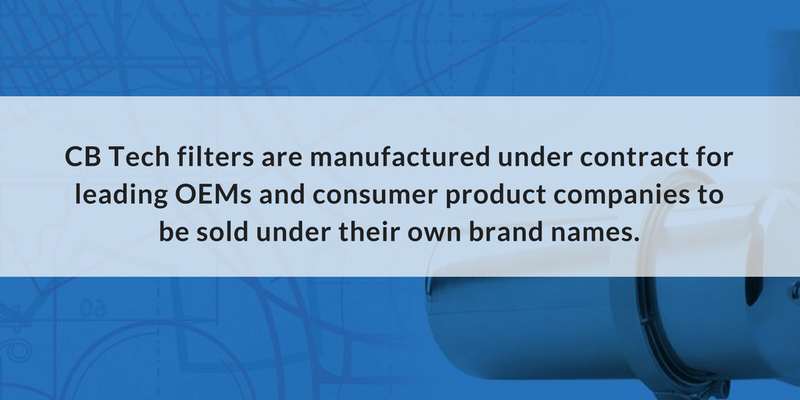 CB Tech filters are manufactured under contract for leading OEMs and consumer product companies to be sold under their own brand names. In some instances, CB Tech incorporates materials and/or media supplied by its Customer to produce a custom hybrid water filter product that is unique and exclusive to the Customer. 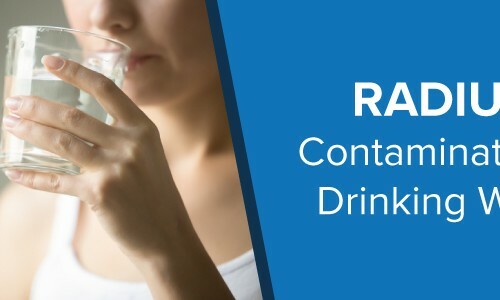 Relying upon the company’s extensive experience and 45-plus year history in manufacturing high performance drinking water filters, CB Tech provides technical guidance and engineering assistance in filter design to support its Customer in achieving the best possible performance from their own branded filtration products. Ultimately, CB Tech is a one-stop shop for finished products, providing filter assembly, packaging and fulfillment services to help its Customer simplify the process of bringing distinctive products to market. POU drinking water filters are exceptionally cost effective because they only treat water as it is being used or consumed. Furthermore, POU filters allow individual consumers to personally take control of the quality of their own drinking water. 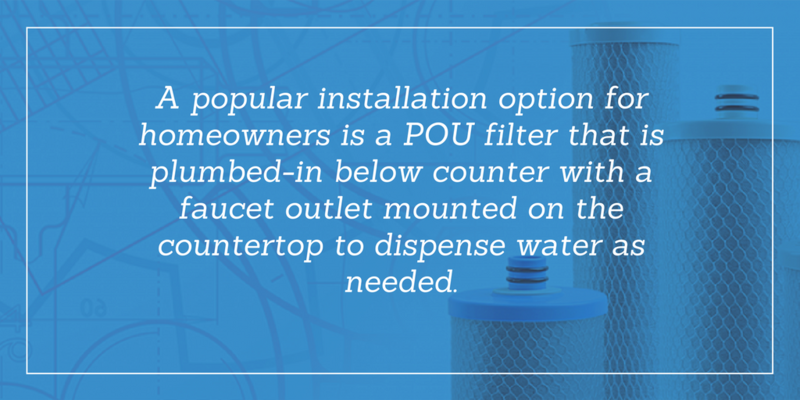 Regardless of the quality of water being delivered to home or office, a POU filter allows the consumer to implement a final barrier that serves to improve water quality. Using a POU filter, consumers retain disinfectant residual in the distribution system until right before dispensing. Each type of POU filter system offers advantages and limitations. CB Tech manufactures custom NSF certified filter elements for all types of POU filter systems based upon its Customer’s distinctive design parameters for its products, and virtually all filter designs begin with a carbon block filter. Even with all of the recent innovations in filtration technology, activated carbon remains the most effective filter media for reducing contaminants of health concern in drinking water. Carbon reduces a wide range of contaminants through the process of adsorption, attracting and trapping contaminants on pore surfaces, much like flypaper. Beyond activated carbon’s natural ability to physically adsorb innumerous contaminants, it also is effective as a catalyzing agent for other types of contaminants. Carbon is particularly effective in reducing chlorine and chloramine, the chemical disinfectants local municipalities commonly utilize to treat public water supplies. As water passes over the surface of activated carbon, catalytic processes cause free chlorine and chloramine to convert into harmless chloride, substantially reducing the negative health effects that occur from consuming these oxidizing chemicals even in small doses. 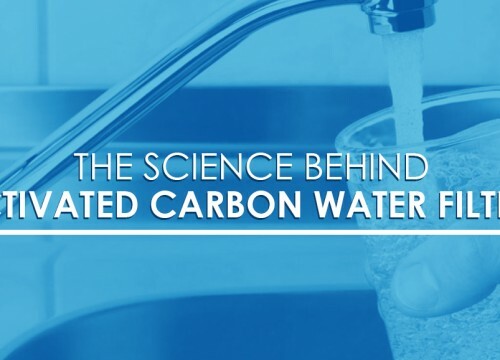 Carbon’s inherent ability to neutralize a broad array of contaminants is what gives it its matchless ability to improve the taste and odor aesthetics of drinking water. CB Tech utilizes the highest quality coconut shell-based powdered activated carbon (PAC) to produce compressed blocks of carbon, thereby increasing the density of the through-pore structure within a filter. Carbon blocks offer much greater performance and capacity than a comparable volume of granular activated carbon (GAC). To maintain PAC particles in a static position without blinding the underlying carbon pore structure, CB Tech adds to the carbon block formula special binding agents that serve as glue, molding the filter media into a cohesive and customizable shape. In addition to being a natural, renewable resource, coconut shell is the preferred carbon source due to its exceptionally dense pore structure. It also produces the lowest level of “extractable contaminants,” which are harmful materials (such as antimony and arsenic) that can leach from carbon back into filtered water. CB Tech’s high performance carbon blocks are effective water filters on their own. But there is much more that can be done to enhance the effectiveness of carbon blocks against contaminants. Beyond utilizing high quality coconut shell PAC, CB Tech also can formulate carbon blocks to more directly target specific contaminants. For example, by blending in specialized “scavenger” adsorbents, CB Tech can target inorganic contaminants, like heavy metals (e.g., lead, mercury, arsenic), for more aggressive contaminant reduction. Catalytic materials can be used to enhance the catalyzation process for reduction of certain contaminants. Furthermore, additives can be blended into the carbon block formula to inhibit bacteria growth within the drinking water filter. Coconut shell is not the only carbon source CB Tech can utilize in carbon block production. Other specialty carbons have distinctive properties for reduction of particular contaminants. For example, catalytic carbon has specially treated surfaces that enhance its ability to catalyze chemical processes (e.g., chlorine and chloramine). Carbon that has been impregnated with other materials (e.g., silver) offers still more options for reducing targeted contaminants. Some CB Tech Customers manufacture their own specialty materials that have exceptional properties for contaminant reduction. CB Tech manufactures porous filter blocks from Customer materials, either blending it with other materials such as carbon, or making filter blocks from just the Customer material. CB Tech’s proprietary compression molding manufacturing process is ideally suited to custom media filter block production, yielding consistent pore distribution throughout the filter block. CB Tech can design carbon filter cartridges to meet most performance challenges identified by its Customers. One of the most common challenges addressed is mechanical filtration. Beyond the underlying pore structure of the carbon block filter, additional mechanical filtration capabilities can be added by including a layer of another filtration media. 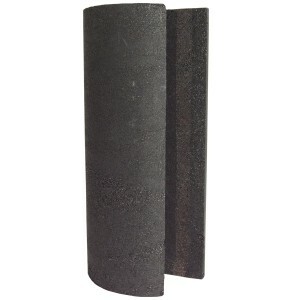 Many carbon filters include outer and/or inner wraps, primarily to trap sediment and dirt to extend filter life. Greater dirt holding capacity can be obtained by utilizing more specialized wraps and depth filtration shells. CB Tech also can incorporate into the water filter design an external or internal ceramic filter element to provide mechanical filtration down to 0.2 micron. At this level, a filter is capable of effectively reducing bacteria by 99.9999%. External ceramic filter elements have the added advantage of being surface cleanable to extend filter life. A still greater level of mechanical filtration can be added to a carbon filter cartridge by utilizing a layer of hollow fiber technology. Hollow fiber materials provide microfiltration (0.05~2.5 micron) or ultrafiltration (0.003~0.1 micron) particulate reduction. Filtration at this level makes possible not only effective bacteria reduction, but also provides 99.99% virus reduction. CB Tech’s extensive research and laboratory testing has found the most effective media for bacteria and virus reduction is a layer of its own Nanomesh filtration media wrapped around a carbon block. Nanomesh allows CB Tech to design and manufacture certified water filters that pass the NSF 231 test protocol for verifiable bacteria, virus, and cyst reduction performance. This proprietary material is a carbon mesh media that effectively traps pathogenic contaminants, which allows the filter to be classified not just as a filter but as a microbiological water purifier. 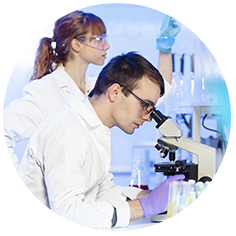 Unlike some membrane technologies, Nanomesh has the added advantage of being highly effective at relatively low operating pressures. Additionally, Nanomesh has the ability to handle higher volumes of water without the propensity to clog, and it does not require electricity or refillable consumables. Once key functional components of the filter that drive performance have been selected, CB Tech Customers have more choices to make concerning how the filter will be finished and assembled. CB Tech can dress and finish filters with materials supplied by the Customer or by CB Tech, especially end caps. For unique custom end cap designs, CB Tech has in-house plastic injection molding manufacturing capabilities to produce plastic drinking water filter components. CB Tech’s Customer can provide the injection molding tooling needed to manufacture plastic parts, or CB Tech can have custom tooling created from the Customer’s detailed design drawings. When producing a fully finished filter assembled with end caps, CB Tech applies its rigorous quality assurance processes to carefully control finished filter performance and ensure the integrity and consistency of the Customer’s branded product. Producing a finished filter also expands the range of packaging options CB Tech can offer its Customer. Following final filter inspection by the CB Tech Quality Assurance team, labeling and packaging is the last step in production before filter products ship to the Customer. The most basic level of packaging is bulk packing with CB Tech’s standard packaging materials. The Customer’s filter is enclosed in bubble wrap and/or separated by cardboard dividers before being placed inside a plastic lined shipping carton. This is a cost-effective packaging method when CB Tech’s Customer will be completing filter assembly, or if the finished filters subsequently are to be inserted into filter housings before packaging. Finished filters also can be individually shrink wrapped prior to packing for shipment. CB Tech can also package finished filters in the Customer’s retail-ready packaging. Packaging and labeling can be as all-inclusive a process as the Customer prefers. The Customer can provide the packaging materials and labels to CB Tech, or CB Tech can produce or source the materials based upon finished packaging design drawings and specifications supplied by the Customer. Finally, CB Tech has the requisite in-house resources and staff to provide comprehensive fulfillment services. CB Tech maintains and operates a distribution facility, and the company’s fulfillment resources are available to its contract manufacturing Customers. The water pollution problem continues to grow in scope and complexity, and simple filter solutions alone may no longer suffice. CB Tech offers OEM Customers custom contract manufacturing services that range from producing basic carbon block filter elements, to designing and manufacturing complex hybrid technology filtration solutions produced and packaged to satisfy the Customer’s exacting specifications. CB Tech is a USA-based company with a 45-plus year history of serving its Customers, and the company possesses the skills and experience to integrate the latest technologies into custom hybrid filter solutions. Of critical importance, CB Tech is a reliable supply chain partner that welcomes its Customers to bring the company new water filtration product manufacturing challenges to resolve and manage.